Celebrating the Mass of All Souls’ has me contemplating the afterlife and our hope for the souls of the departed. One of the versicles we said was “From the gates of Hell, O Lord…” and the response was “Deliver them.” What does it mean to ask for prayers for those who have died and yet have not received their final reward? Purgatory is derived from the Latin purgatorius or cleansing. References to the cleansing of purgatory are found in both the Eastern and Western traditions as early as the third century. It is a state in which those, ultimately assured of salvation and Heaven, are made ready for their rest in the Father. It is a process that most certainly involves some form of suffering. The word has taken on an unfortunate association as a sort of mini-Hell or the outlet version of Hell. Not quite as fully realized as the fires of retail damnation – but still rather unpleasant. In the time after the New Testament, writing seems to have focused on two groups of the holy dead. There were those that have received the beatific vision in full and those awaiting that reward. The Eucharist came to have a three-fold action regarding the departed. Saints were asked for their intercession, thanksgiving was offered for their work, and prayers were offered in propitiation for the departed in general. There was also mention made of the purifying fire that the departed must pass through which would cleanse the soul from sin. In the Middle Ages, purgatory took on a rather more precise form. The sufferings of purgatory differed from Hell’s only in that the sufferings of Purgatory would come to an end. This was a suffering not only of a delay in receiving the beatific vision but of material fire as well. The Reformation brought a renunciation of the popular doctrines of Purgatory that had begun to spread. It was maintained that those worthwhile went straight into Heaven after death. The Council of Trent answered this by stating, “There is purgatory, and the souls of the faithful detained there are aided by the prayers of the faithful and most of all by the acceptable sacrifice of the altar.” The bishops encouraged priests to preach on the doctrine of purgatory but to avoid and discourage that which smacked of superstition or base financial gain. This doctrine is rather restrained if one compares it to the popular practices. It does not encourage indulgences or promise that the Church has a formula by which it can determine the appropriate amount of penance by which Purgatory can be avoided. It merely says that there is purgatory and that those there are aided by our prayers and especially by the most sacred of our prayers, the Mass, in which we encounter the present Christ and remember the sacrifice made for all of us. This Roman doctrine should not be confused with what is “Romish.” The popular excesses, the selling of indulgences, and the like are not the stuff of doctrine but of human practice. The doctrine itself encourages an understanding of life as extending beyond what we see for we are ever in relationship with those who have gone on. The doctrine of purgatory, like all teaching, may be abused and is especially dangerous when taught with mechanical or transactional specificity. 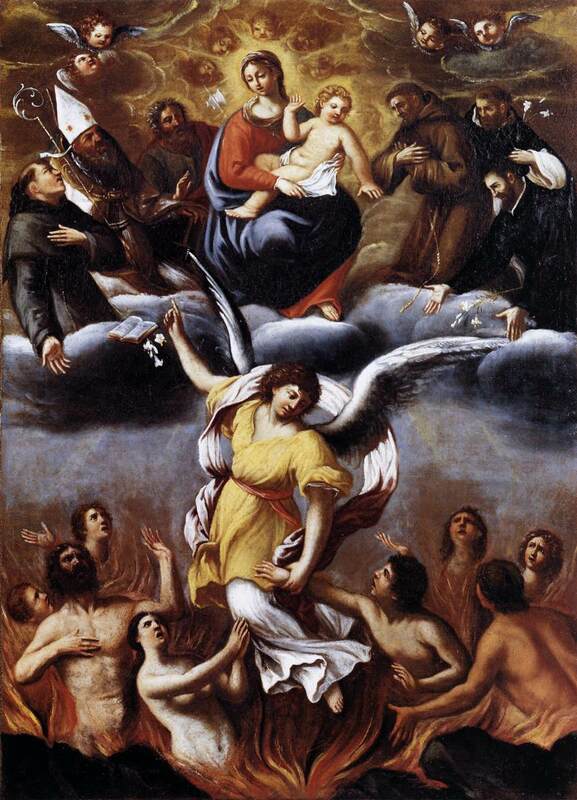 Catherine of Genoa offered a vision of purgatory that suggested that the joy of the soul in purgatory exceeds any joy possible on Earth and can be compared only to the joy of those who had attained Heaven. 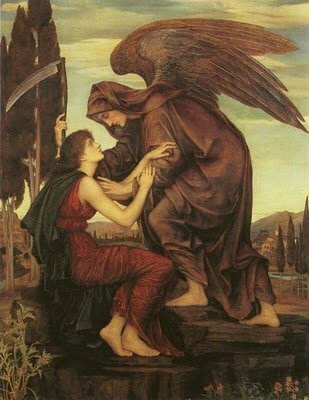 Suffering co-exists with joy in purgatory and that suffering is that of bitter regret for imperfect living and a spiritual longing for the fullness of the vision of God. The doctrine of purgatory is, perhaps, most beautifully expressed in John Henry Newman’s The Dream of Gerontius. It is poetic and lyrical in the way that our language of death and the afterlife so often must be. He writes that the departed live in a world of “signs and types” and are “wrapped and swathed around in dreams, dreams that are true yet enigmatical” they know of “space and time and size, of fragrant, solid, bitter, musical, of fire, and of refreshment after fire” only through symbols as they wait in blindness for the beatific vision. Eastern Orthodox theologians sharply criticize the idea of an actual fire in which people are punished. It has been said, tongue in cheek, that the Orthodox strongly assert happiness and grudgingly admit suffering (and perhaps the Romans strongly assert suffering and grudgingly admit happiness). The Russian Orthodox Churches now state that souls “endure discipline for the sins which they have committed” and that they may be delivered, in part, by prayers (and especially the Eucharist) offered on their behalf. The opinions of the 16th and 17th century Anglican divines were sharply influenced by the reaction to much of the medieval praxis and teaching around Purgatory. This often manifested itself in a rejection of the notion of an intermediate state for the soul between Heaven and Hell. The belief never entirely died out though and was revived by the Oxford Movement. The 22nd Article of Religion gives an explicit condemnation of “Romish” doctrines of purgatory. This seems to indicate a doctrine of material fire and bought escape. It would certainly imply a rejection of mechanically proportional suffering to sin ratios and the like as well as exact offering/penance to release formulas. In any discussion of the departed we must be careful not to try and be overly precise while still striving for some illumination. It is poetry rather than prose that seems to best describe the life after. To grasp for notions of what a disembodied soul’s existence may be like (or unlike) requires reaching for language, metaphor, and hope beyond what the mortal mind can hold. A balanced sense of who we are, in our deepest being, and what we bring with us to the afterlife are necessary to think about purgatory in any sense. If we believe that we are just fine as we are, that we are ever in this life completely holy and blameless, then perhaps we need purgatory now more than ever! It seems an entirely Anglican thing to hold that those who don’t believe or whose life has been less than pure will have a chance to be caught up in the love of God – but that there will be some period (without our knowing its length or breadth) of transformation into the fullness of holiness. A time of preparation for the fullness of the beatific vision seems entirely appropriate as our time here on earth is short and it seems the height of hubris to believe that utter holiness is the work of a soul’s short span in this earthly coil. We maintain the hope of the life to come. We maintain that we are called to some form of justice/judgment/accord in the afterlife. If our core essence is bound to our soul, rather than to our bodies alone, then prayers for those who have gone on are entirely appropriate as they go from strength to strength and glory to glory and come, through cleansing love, to the fullness of life in God. Very enlightening and valid, but it seemed to be going in circles and never coming to a precise conclusion, which is in and of itself justifiable. Like trying to be nice to the concept and then questioning it. Maybe the attempted explanation here from me is “wordy.” He He. Thanks John, I think I am trying to open the door to thinking about purgatory, especially as I have heard Anglicans expressing discomfort with the notion, without trying to be dogmatic about it. Normally in matters of doctrine, I have no qualms about ploughing ahead! However, in matters of death and expectations of the life to come, it seems prudent to exercise, as the Prayer Book would say, “reasonable and holy hope.” Death and the passing to new life are a holy thing and I think we do well to tread lightly in talking about them even as we rest in the sure hope of glory to come. I would think the introduction of the words “…grant them continual growth in thy love and service” into the petition for the departed within the Prayer for the Whole State of Christ’s Church in the 1928 BCP opened a way for Episcopalians to hold a reticent but real view of purgatory. The Society of Catholic Priests of the Episcopal Church An Anglican society devoted to catholic spirituality welcoming all priests, deacons, seminarians, and religious as members. Saint Philip's in the Hills, Tucson St. Philip’s is a large, active parish known not only for its worship, music, and art, but also for its inclusiveness, educational programs, and its outreach to the community. Saint Hilda's House A residential spiritual formation and service program for recent undergrads. Christ Church New Haven An engaged urban parish in the Anglo-Catholic tradition. Saint John's Cathedral, Denver Saint John’s Cathedral continues its rich Anglican tradition of historic ministry in downtown Denver along with the tradition of forward-looking, public ministry on the frontier. Yearning: Young Adults, Authentic Transformation, and the Church A recent book by Robert on young adults ministry and the future of the Church. It features contributions from 22 young adults with whom he was privileged to work in New Haven along with his own reflections in addition to three guest essays. To Preside or to Celebrate? "You don't have to leave your brain at the door" - Can we please stop saying this?